When you first meet people, one of the first things they will notice is your smile and if you are not comfortable with it, then you may not be smiling as much as you should be. Orthodontics can help straighten your teeth and improve your dental health at any age. Ideally, an orthodontic treatment is used when a person is an adolescent or teen since their mouth is still forming and it's easier to correct a misaligned bite. However, more adults in High Point, NC are getting orthodontics if they didn't have them as a child or if they didn't wear their retainers long enough (yes, it was important to wear it). Thankfully, there are more options today in orthodontic treatments, including aligners that are clear and removable so most people won't even know that you're wearing them. At DentalWorks - High Point, our experienced team offers several modern orthodontic options to help you or your child get a straighter, healthier smile. If we don't offer the treatment you want, we can refer you to an excellent orthodontist in High Point, NC. Crooked or overlapping teeth don't only hurt your self-confidence, but they can also harm your dental health. Misaligned teeth are harder to clean properly, which can lead to problems like cavities, chronic bad breath, and gum disease. When your jaw and teeth are not properly aligned, it can cause temporomandibular joint disorder (TMD). Severe dental misalignment can also cause speech impediments. These are the reasons why straightening your teeth is not just about improving your smile, but also your oral health. To determine if you or your child need an orthodontic treatment, schedule a consultation with a dentist or orthodontist in High Point, NC. During your consultation, your dentist or orthodontist will use digital x-rays and other methods to assess your bite. They will determine what type of dental malocclusion you have (under bite, overbite, open bite, or crossbite) and the severity of your misalignment. From there, they can discuss treatment options and costs to help you choose which is best for your needs and goals. Once you have chosen an orthodontic treatment, they can customize your treatment plan and estimate the length of time you will need to wear orthodontics. After your initial appointment to have your braces put on or to get your first set of aligners, you will need to schedule appointments every 4 – 6 weeks or as recommended to get adjustments and progress checks. One of the most popular choices for adults, clear aligners can be removed to eat and clean your teeth. The least visible of all orthodontic treatments, a custom series of aligners gently move the teeth into place. A set of aligners is generally worn for two weeks before you move to the next set. The most popular and generally inexpensive way to straighten your teeth is with traditional metal braces. A metal bracket is adhered to each tooth with a metal wire connecting them all to pull the teeth into alignment. Kids (and adults if they want) can choose from a variety of elastics to give their brackets a nice pop of color. A newer option, lingual braces are custom-made to fit on the back of your teeth. They cost more than metal or ceramic braces and are more complicated to apply so a skilled orthodontist is recommended. They can be irritating to your tongue and cause some difficulty with speech while you are adjusting to your new braces. Ceramic braces typically cost more than traditional metal braces, but they blend in with teeth so they are less visible. Although they are made with a strong ceramic material, they are more fragile than metal braces and patients need to be careful about stains from dark-colored food and drinks, including coffee, tea, berries, and tobacco. Also known as damon braces, self-ligating braces are similar to traditional metal braces, but they don't use elastics. Self-ligating braces use a sliding mechanism to hold the arch wire in place rather than elastics, which are more likely to break. No matter which orthodontic treatment you choose, you'll be thrilled with the results and freedom once it's over. While the major part of your treatment is over, there is still some work to do. To keep your teeth in place while your gums and jaw adjust, you'll need to wear a retainer. At first, you will need to wear your retainer as much as possible, removing it only to eat and brush your teeth. Over time, your dentist or orthodontist may recommend only wearing it at night. It's important to wear your retainer as long as you are told to avoid future problems. Many adults who get braces are getting them or the second time because they didn't take their retainer seriously. If you or your child has trouble wearing a retainer, ask your dentist or orthodontist about getting a fixed retainer. A thin wire attached to the back of the upper and/or lower teeth, a fixed retainer cannot be removed or lost. In addition to getting and wearing your retainer, you should keep your new smile healthy and bright with regular visits to your High Point, NC dentist for oral exams and professional cleanings. 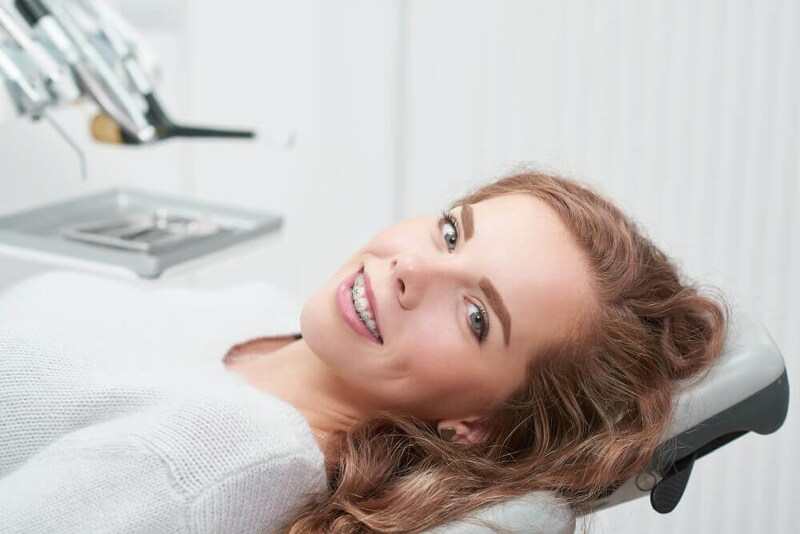 If you want to make your smile look even better after orthodontics, DentalWorks - High Point offers several cosmetic treatments, including home or laser teeth whitening. Schedule a consultation at our office in High Point, NC to learn more about your smile makeover options. If you want a straighter, healthier smile for either yourself or your family, schedule a consultation at our office in High Point, NC. Our skilled team offers several modern orthodontic treatments to fit your needs and budget. Braces or aligners can help patients of all ages improve their confidence in their smile.